Having an outdoor wedding reception comes with a lot of benefits. An outdoor reception can save you a lot of money, it can make for a far more picturesque wedding, and it makes decorating a lot easier. Here are some great ideas that will eliminate hassle and help you have the reception of your dreams outdoors. Mother Nature certainly has many wonderful locations to offer you that provide the perfect setting for an outdoor reception. If you are on a budget, the easiest place to have your reception outdoors is your back yard or that of a family member. With the right decorations and ambience, you can create a gorgeous and elegant reception in a back yard. Wedding reception places outdoors that will require more planning on your part to reserve and set up include a farm or estate, a garden, the beach, a lake front property, the forest, or the mountains. Planning a destination wedding away from home provides you with the opportunity to explore exotic outdoor locations for your ceremony and reception. Generally speaking, outdoor receptions allow you to be far more creative and provide a much more relaxing setting than your typical indoor receptions do. However, you need to make the necessary preparations to ensure that the reception runs smoothly and have a back-up plan in case the weather gets bad. 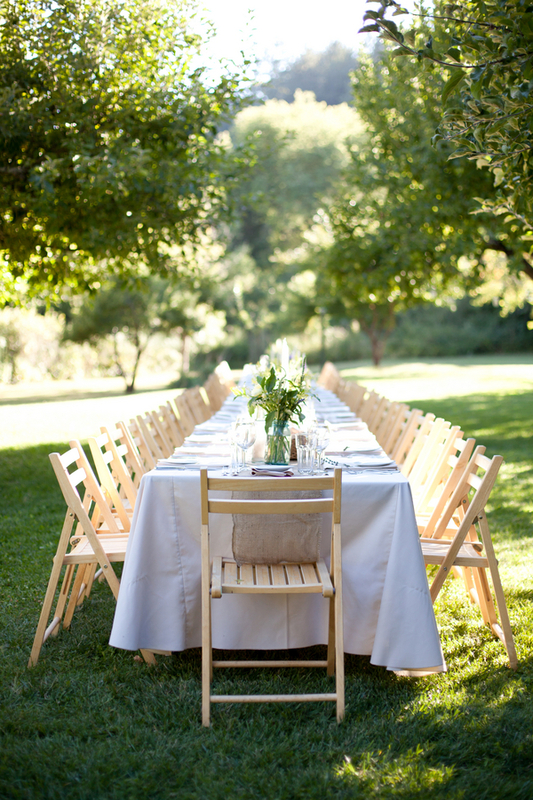 It's recommended to compile a to-do list in order to make planning your outdoor wedding reception hassle-free. Some things you might want to put on your to-do list include finding a gazebo or tent to rent and confirming a rental date, renting tables and chairs, hiring a live band or DJ, and staying updated on weather conditions. Essential items that you'll need to obtain for your reception outdoors include lights and décor. Lights are a necessity if you are planning for the festivities to go on until after sunset. If you are having a large wedding, it's a good idea to leave it to professionals to hang up the lights to avoid injuries. Decorations must be wind-proof so make sure your table cloths are heavy and your candles have hurricanes. You'll also want to do whatever it takes to ensure that your guests stay comfortable. If the weather is a bit on the cold side, provide heat lamps so the guests can stay warm. Use citronella candles if insects are a problem. Wedding reception places outdoors provide the ultimate setting for gorgeous wedding photographs. Whether you want to marry on a beach at sunset or exchange your vows amidst the fall leaves changing colors, make sure to capture those unforgettable moments on camera. Your best bet is to hire a professional photographer but if you're on a tight budget, you can also leave disposable wedding cameras on each table and have your guests take pictures. 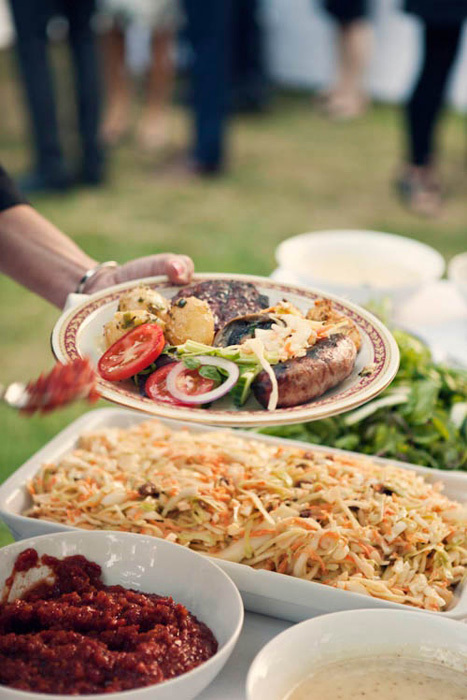 When deciding on a menu for your outdoor wedding reception, you have to determine whether you want to hire a professional caterer or if you'd rather provide the food yourself. You can also have a potluck style reception if it's a small wedding. A caterer can take care of every detail of food service and clean up but it can be costly. Make sure nothing that spoils easily is served in case the temperature rises and ask the caterer to use fondant for the cake frosting because it is smooth, durable, and won't spoil like buttermilk. So there you have it. 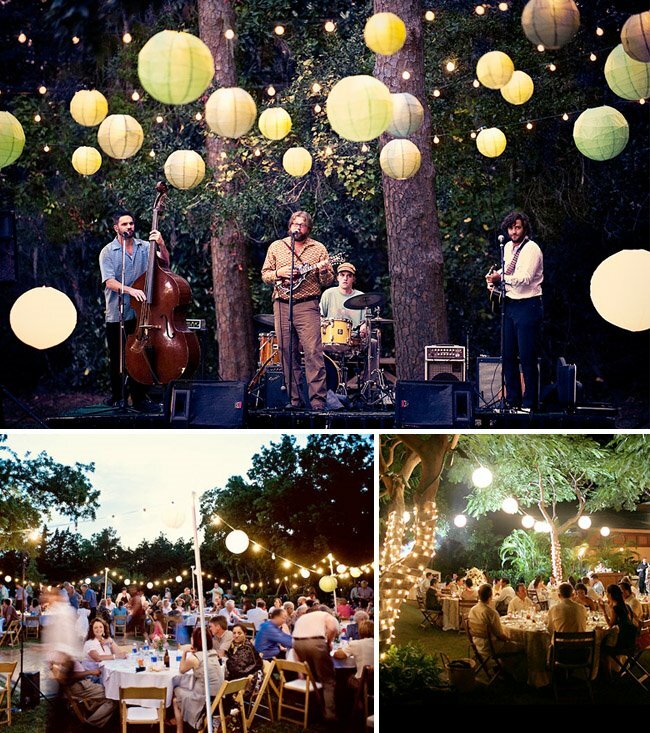 Make your wedding one-of-a-kind like your love and save yourself a ton of money by planning your reception outdoors. An outdoor wedding reception brings an element of natural beauty to your reception and provides a more relaxed atmosphere for both you and your guests. 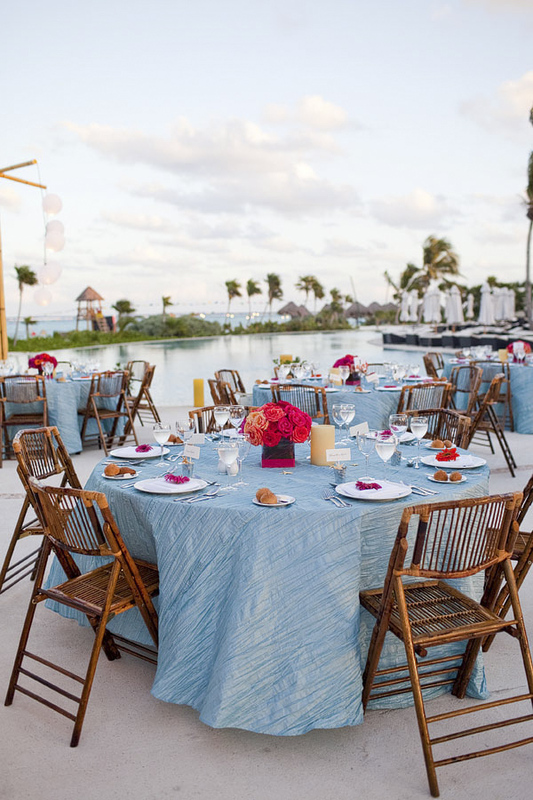 Use these ideas to make planning the outdoor reception of your dreams a hassle-free endeavor.